a cozy, convenient, solar-powered elopement service! As Richard Brinsley Sheridan wrote, “Won’t you come into the garden? 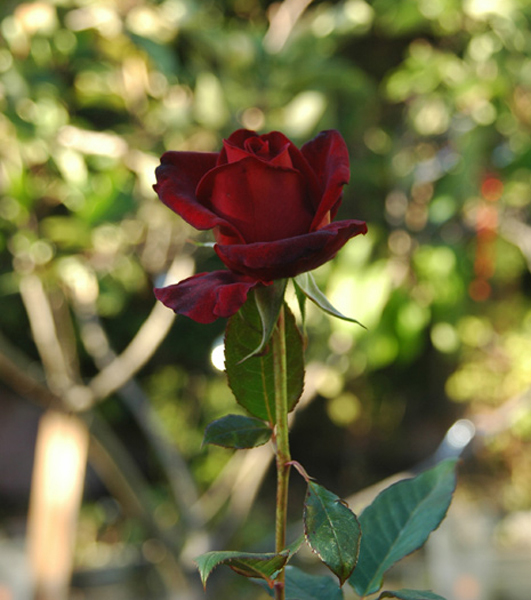 I would like my roses to see you.” Email us for availability by clicking here. ....it's a quirky, happy little living room in our bungalow in Mar Vista. We don't live in a Dwell Magazine spread, but it's comfy, casual, full of hygge, and we treat you like the honored guests we consider you to be. You can invite up to two guests/witnesses to join you, and we'll even give you tea and cookies (vegan or gluten-free, if you wish) to help you recover afterwards. Eloping @ Our House is a unique experience. No plastic flowers or white chairs, no canned wedding march, and no cranking you through like a high-volume wedding chapel. We have candles, comic books, real flowers in our organic butterfly habitat, and a sincere welcome no matter who you are. It's a relaxing, come-as-you-are kind of place, just the thing for an easy elopement. We're also the only solar-powered microwedding service in Los Angeles (plus we recycle and compost and stuff) so you can keep the carbon footprint of your wedding low--just one more way MarriageToGo shares the love. For those who want a wedding that's a little more personal and lot less Wedding Industrial Complex, we offer you this simple, charming, low-stress alternative to Vegas or the County Clerk's office. You can bring your public marriage license and witness for solemnization, or we can issue a confidential marriage license if you qualify (see requirements here). 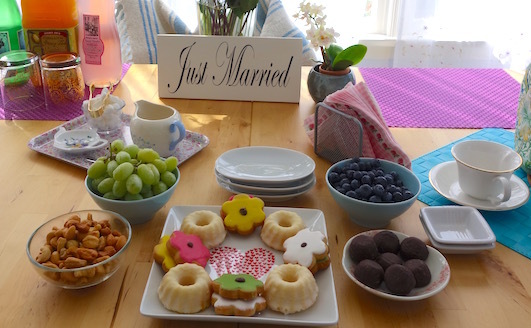 Confidential marriage licenses do not need a witness; for a public license you'll need to provide at least one witness (sorry, we can't provide witnesses for you, but they can join you for tea and cookies for their trouble). Elopements at Our House are available by appointment only. You can email us to check availability or call 310.288.6658 to request more info. We can often accommodate you within a few days of your inquiry! Once we've confirmed your appointment time, we can usually arrange everything with just a couple emails. It's no longer necessary to head to Las Vegas to avoid a courthouse or cheesy-chapel wedding! Eloping at Our House is a fun, easy, and affordable way to get married in Los Angeles. Click here for rate info. 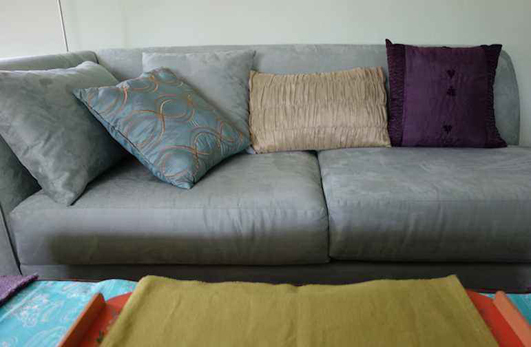 We call it "The Couch of Destiny." It's quite comfortable, actually. After your ceremony, you're welcome to take a few photos in our "Secret Garden" (as the season allows). Serene and colorful, our sustainable monarch butterfly habitat is a sweet place to enjoy your first moments as newlyweds. It's all organic and bird- and butterfly-friendly, so don't be surprised if a few of our winged friends float by or sing along. 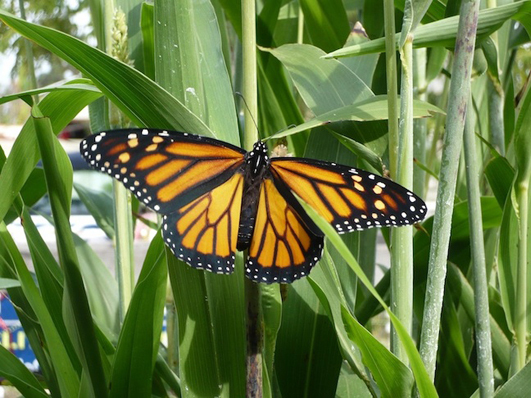 A monarch butterfly in our habitat. Do you know how to tell the boys from the girls? You can find out on our garden's website! Total includes marriage license application processing, $85 County license fee and handling, notarization of license and certificate request forms, civil ceremony officiation, signatures, one marriage certificate (which arrives by mail from the County Clerk's office 6-8 weeks after your ceremony), basic postage w/tracking, tea + cookies. Total includes civil ceremony officiation, signatures, notarization of certificate request forms, one marriage certificate (which arrives by mail from the County Clerk's office 6-8 weeks after your ceremony), basic postage w/ tracking, tea + cookies. Customized ceremonies and holiday weddings are available for an additional fee. A portion of all MarriageToGo fees goes to support local non-profits as part of our mandate to "share the love" with our community. Please feel free to contact us anytime with questions, or call 310.288.6658 or email us today for your appointment to Elope @ Our House! We are eager to meet you! Hope to see you at Our House soon. All materials on this website copyright © 2001-2019, MarriageToGo.Com, All Rights Reserved.